Each style features tons of pockets, maximum storage, and a 15-inch laptop compartment. TUMI’s Fall 2018 Men’s collection is all about versatile designs for business and everyday use. These distinctly modern styles combine luxury and practical professionalism. Taking inspiration from the simplicity, functionality, and minimalism of Scandinavian design, the collection explores the natural beauty of the region and celebrates intentional, thoughtful design. The newest incarnation of the Tahoe collection fosters an urban, minimalist aesthetic with a focus on functionality and design-driven details. The modern and sleek silhouettes also have a hidden functionality, keeping them true to the TUMI DNA. Each piece is constructed from a highly durable blend of polyester and matte nylon that gives the appearance of neoprene. This fabric gives the bags a smooth, tactile feeling. New energetic linings with reflective accents also highlight the organizational features, making the interior easier to navigate. Select styles, including the Rockwell, Lakeview, and Westville Backpacks even have a rain cover to protect your bag from the elements. 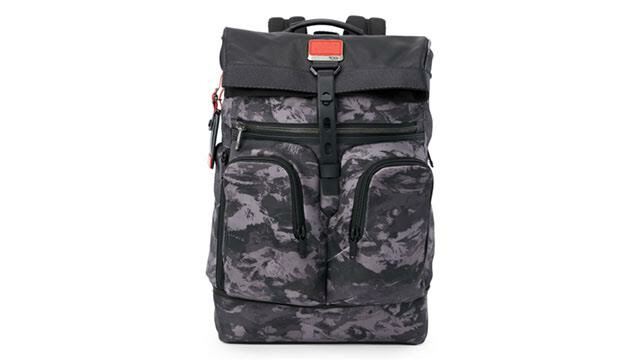 Each style features tons of pockets, maximum storage, and a 15-inch laptop compartment. Offered in Black and the new seasonal Digital Tide print, these backpacks are geared toward the outdoors-inspired lifestyle. The Westville features an elastic band on the front with toggle closure—perfect for your jacket or yoga mat. Lastly, is also introducing the Boulder Backpack Duffel, a unique construction that doubles as a backpack and weekender pack, with removable, tuck-away backpack straps and handles. Designed with form and function in mind, the Alpha Bravo collection is updated with a new style, color and print introductions. 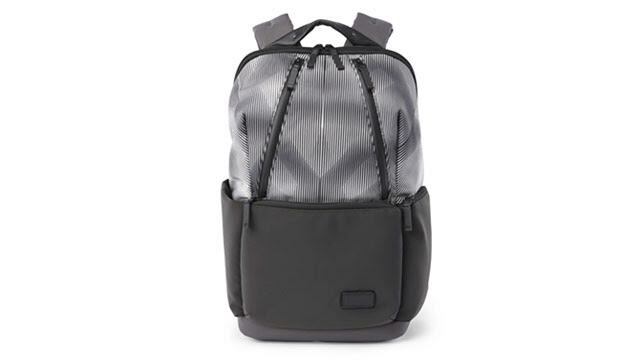 Crafted in TUMI’s durable Ballistic Nylon as well as Black leather, the iconic collection tells a strong story with its modern military characteristics and stand-out gunmetal zipper highlights. This season, Alpha Bravo introduces new seasonal prints, including Charcoal Restoration and Reflective Tundra, which continues the assortment’s reflective accents with a green shade that matches back to the seasonal palette. The Columbus Utility Pouch presents a trend-focused style that can be worn many ways—as a waist pack, a crossbody across the front, or as a sling. This versatile style can organize your essentials in front zip pockets and has special protective interior pockets for secure and hands-free travel. Meanwhile, the Harrison collection continues to offer a series of functional day bags and accessories with a clean, streamlined aesthetic. 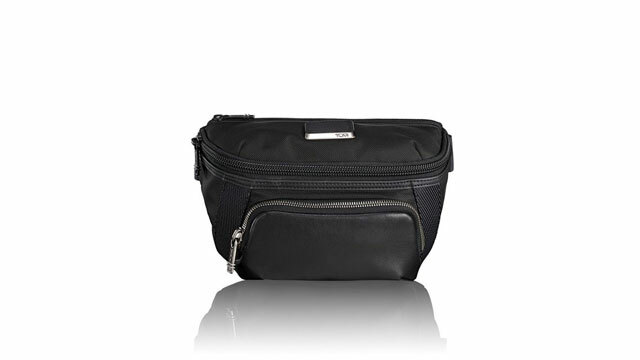 The Daniel Utility Pouch can be worn as a waist pack, across the body, or as a sling. The style offers a secure and hidden entrance to the main cavity via a back zipper pocket (ideal for traveling with important documents or items). It also features a rear zip quilted pocket and organizational front pocket with a key leash. 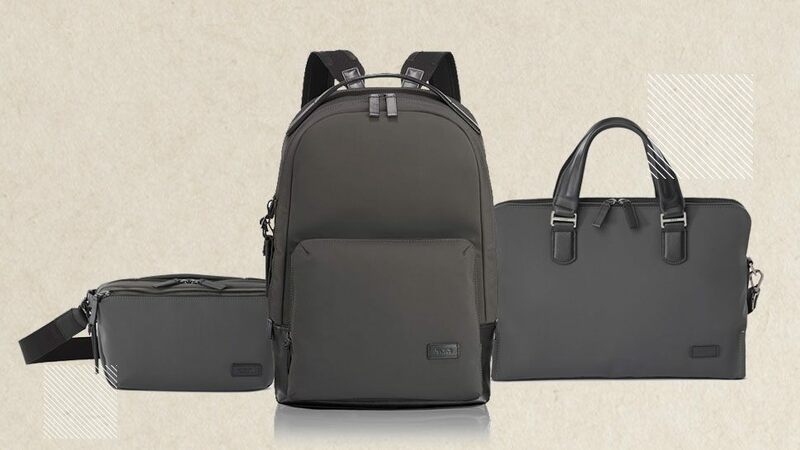 TUMI continues to expand on its accessories collection with the new Province SLG collection. This collection focuses on travel accessories and offers a variety of silhouettes with fresh aesthetic details. The core colors include a warm color palette of Black, Blue, and Orange, with Ember and Maroon offered as seasonal colorways. Highlights from the collection include the Luggage Tag, Passport Case, Passport Cover, and Travel Organizer. Follow @TumiTravel on Facebook and Instagram. 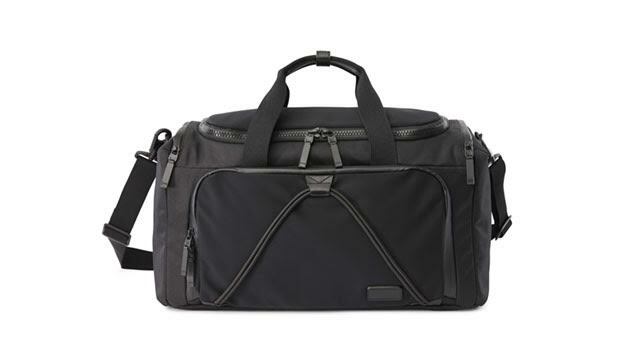 Tumi is exclusively distributed by the Primer Group of Companies, an ever-expanding retail and distribution company of the world’s top and premium consumer brands. Tumi is available at TUMI Greenbelt 5, TUMI Shangri-ka, TUMI Solaire Resort & Casino, TUMI Ayala Center Cebu, and selected The Travel Club stores.